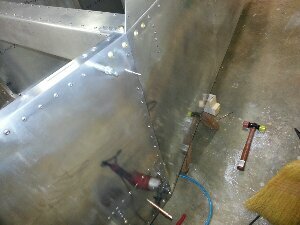 Bent the glare shield in my home-made sheet metal brake. 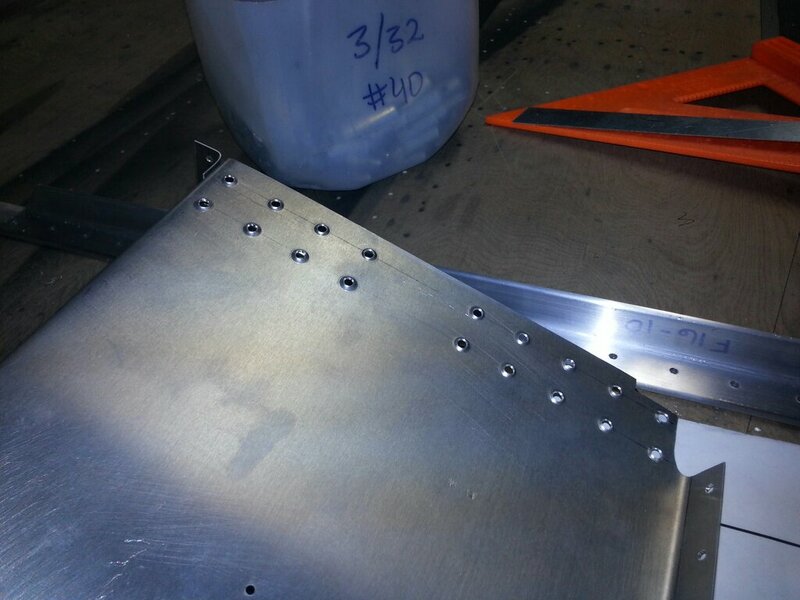 I drilled and countersunk holes for the bolts on the top of the forward fuselage longerons. 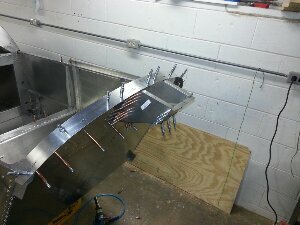 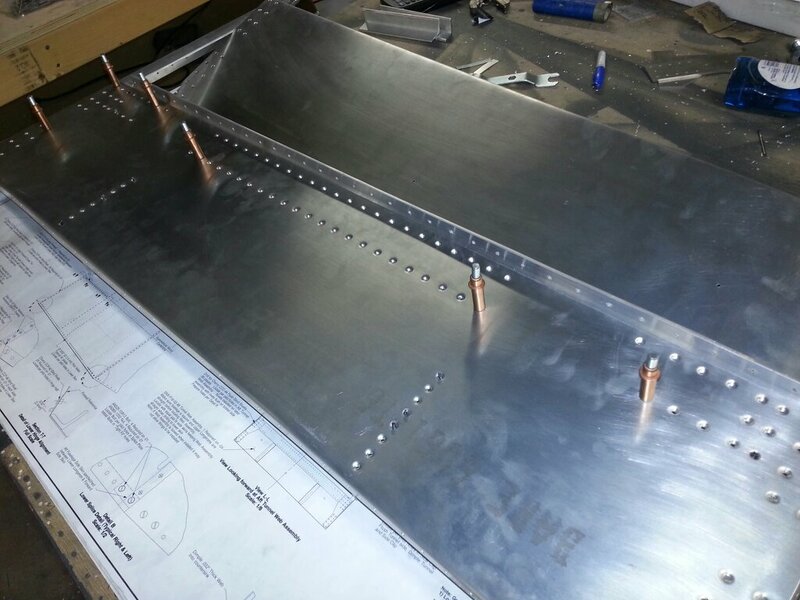 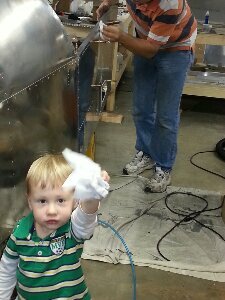 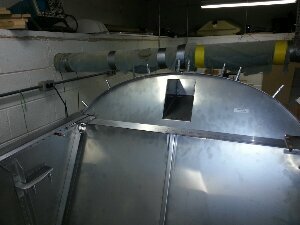 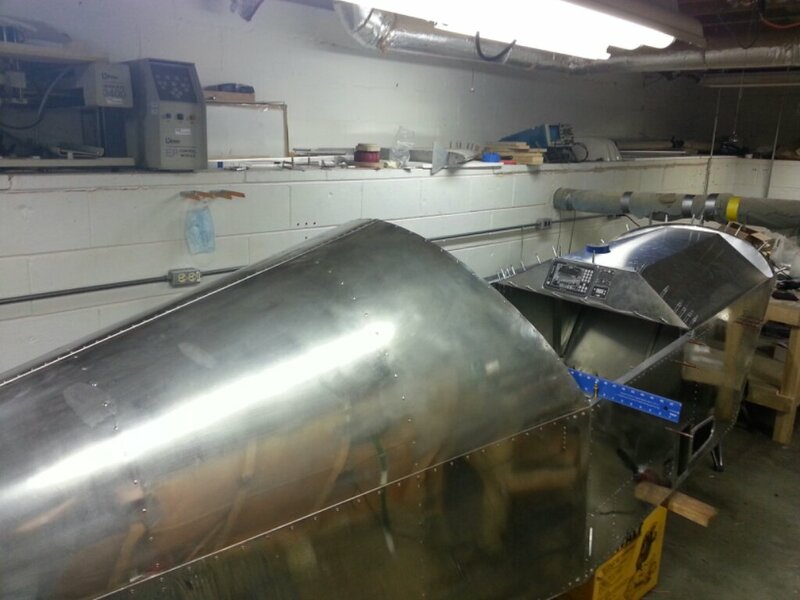 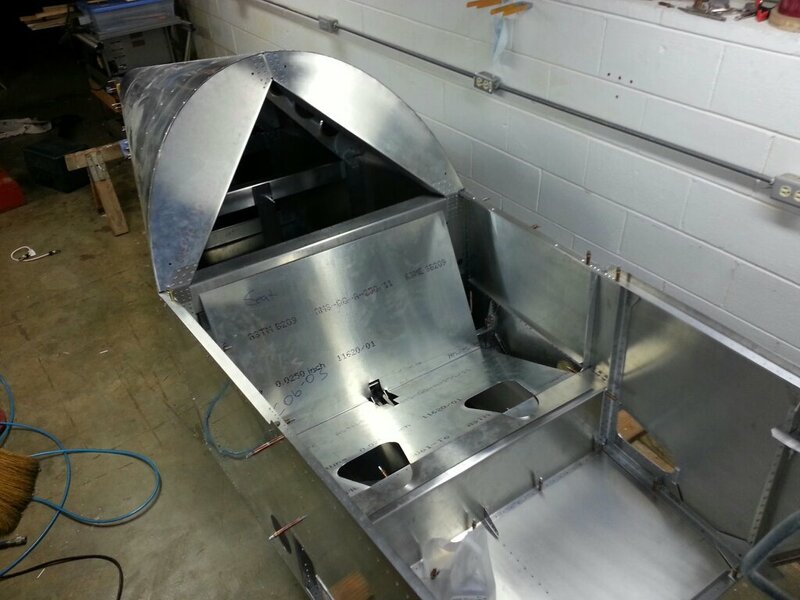 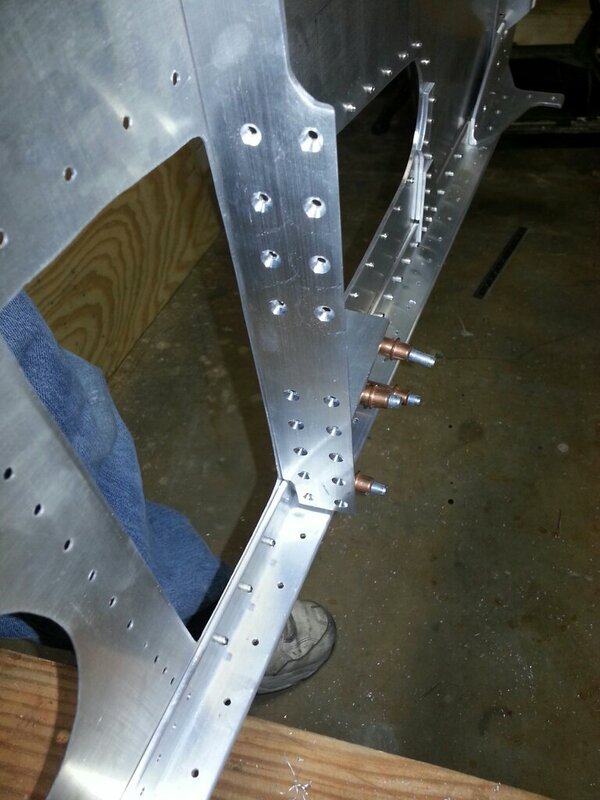 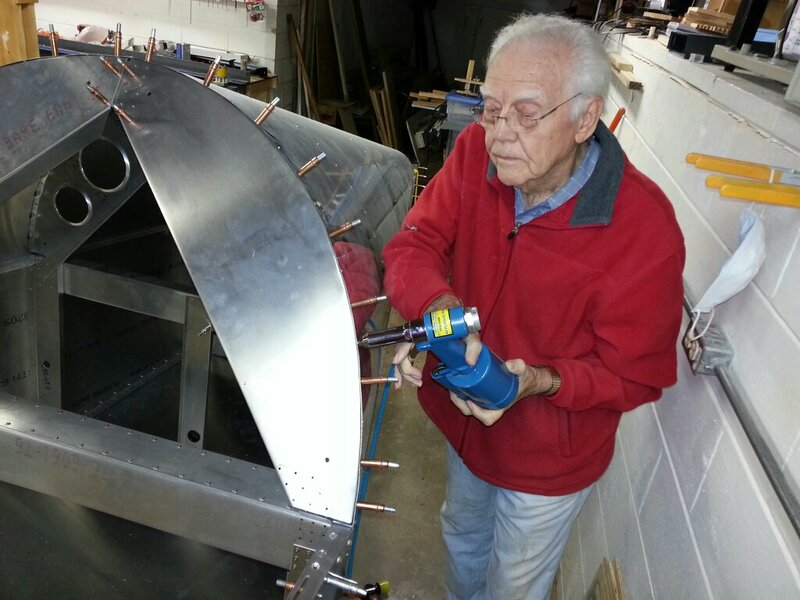 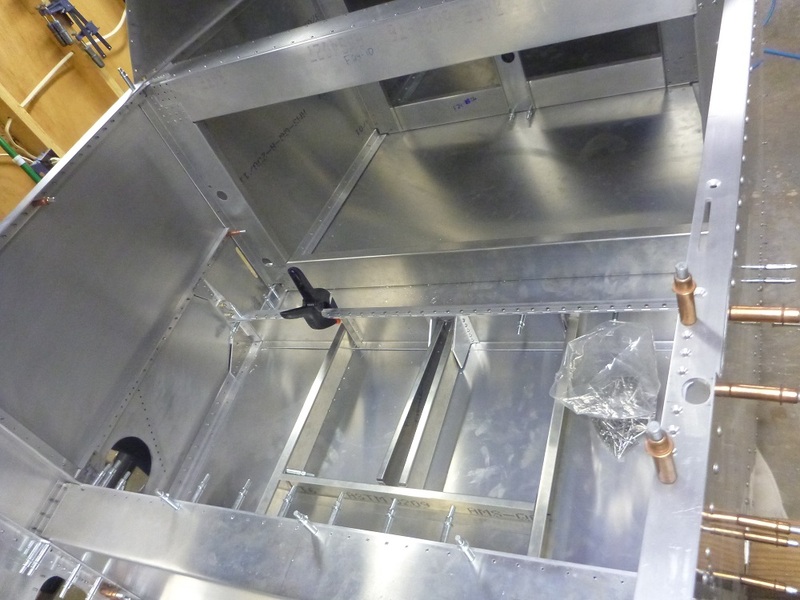 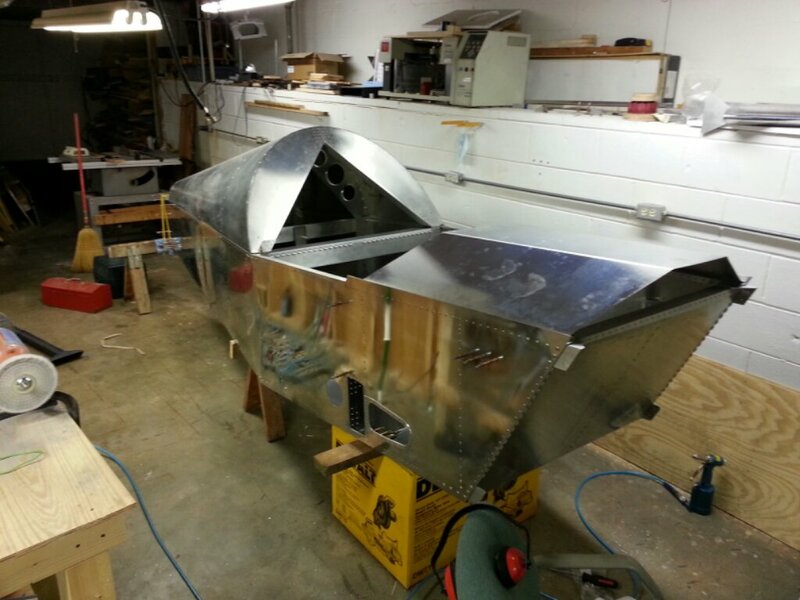 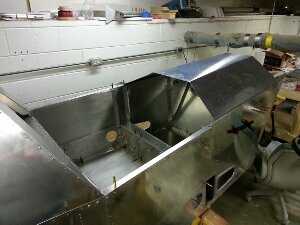 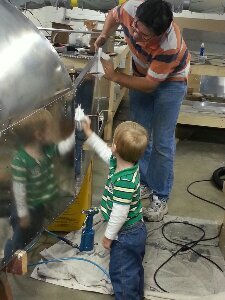 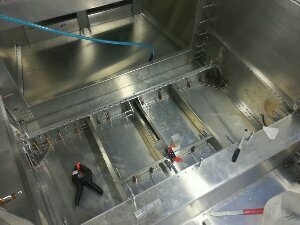 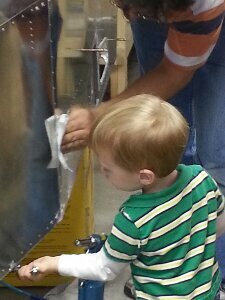 Dad helped me align the aluminum channel on the floor the fuselage. The two center aluminum channels were too close together and sandwitched between two aluminum angle extrusions. 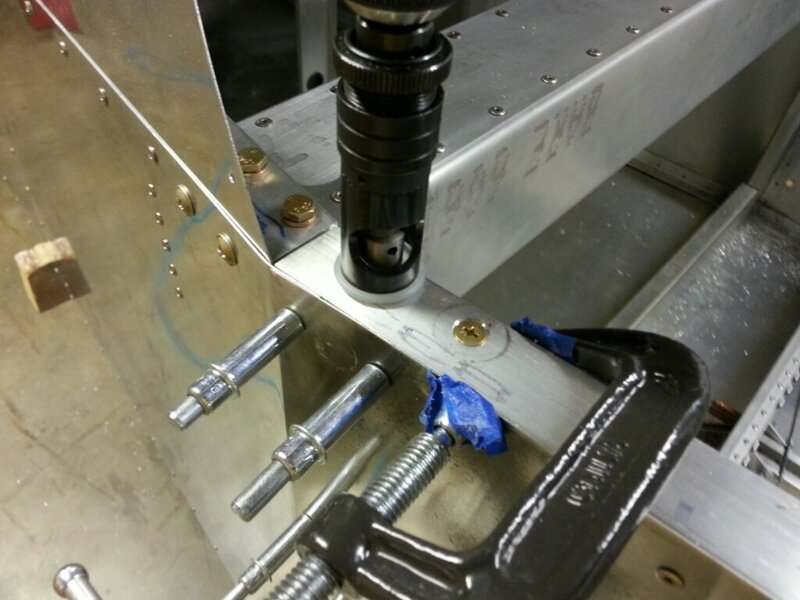 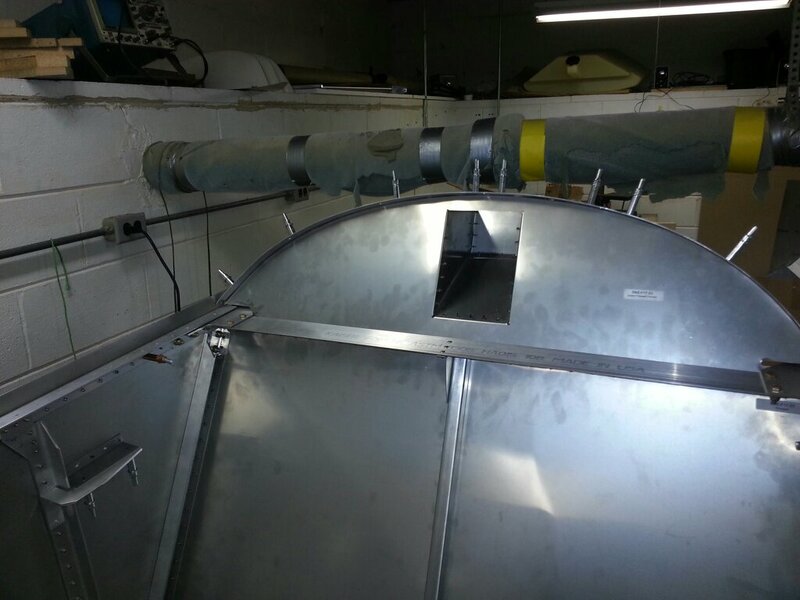 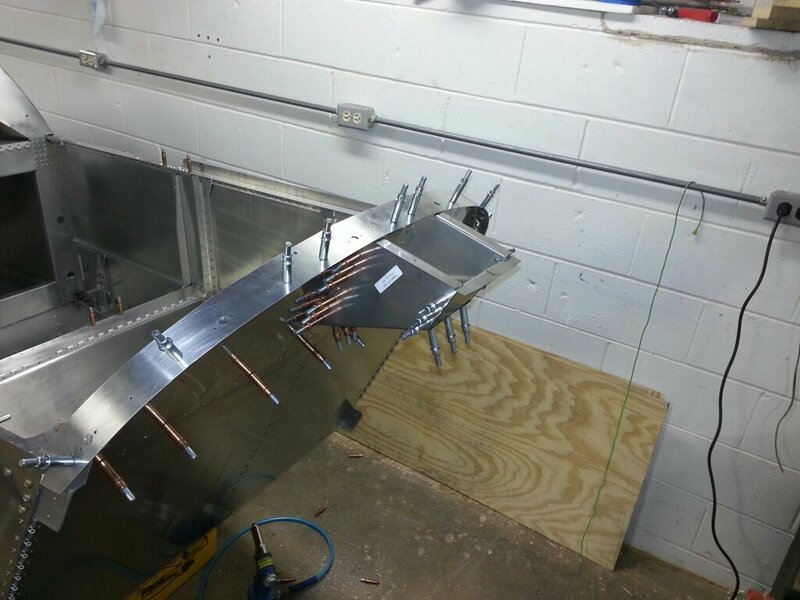 This prevented us from being able to use the pilot holes in the channel as guides to drill into the extrusions. This situation seems to be a “feature” of the lowered seat modification. It would have worked great had I not already riveted the extrusions in place. I ended up drilling one out to get access. 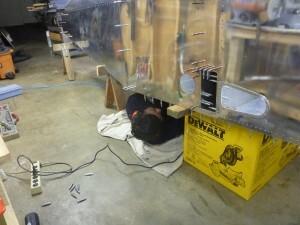 This was awkward and I ended up breaking a drill bit in the process.